A version of this piece appeared on IJNet. Newsrooms all over the world are experimenting with building teams that are primarily focused on producing visual and/or interactive content. For smaller newsrooms, this can be a leap into untested waters, to see what works and what doesn’t. These efforts can be hit or miss: your novice team might be able to churn out projects once a week or once a month, but there is also a higher chance that this arrangement will fizzle out, if there isn’t a consistent publishing schedule or enough support from newsroom higher-ups. Or at least that’s what I’ve seen when advising Pakistani and U.S. newsrooms on creating this kind of content. "Don’t work in silos or in complete isolation — walk over to other desks and departments, see if they can help you." I’ve worked with multiple media outlets in Pakistan, helping produce some of their first-ever 360 degree video stories, as well as other kinds of innovative visual content. I’ve also spent time with multiple newsrooms across the U.S., showing them the work we’ve been doing in Pakistan and seeing how they do things over here — an exchange of ideas and strategies, if you will. These newsrooms are doing amazing work — some have small teams, some have large teams, many have limited resources. But this doesn’t stop them from trying new things and that is a lesson to be learned. Your newsroom might not have the resources or budget available to build a team tasked with producing visual/interactive stories, but that shouldn’t stop you from getting started. So if you want to build your newsroom’s first-ever team dedicated to innovative content, where do you begin? Here’s what I would advise, based on what I’ve learned working with Pakistani newsrooms and visiting other media outlets in the U.S.
Before you set out to convince upper management that their newsroom needs a specialized team dedicated to innovative content, look for collaborators within. There are people all over your newsroom who have the skills you need to get started with your first visual/interactive story. A photographer, a video journalist, a designer — these are all allies you need on your side. Show them examples of what you want to do and pitch them a story. These people will be your champions. Work with them so you can show your editor what the newsroom is capable of. Don’t work in silos or in complete isolation — walk over to other desks and departments, see if they can help you. There is a good chance you’ll find all the people you need already inside your newsroom. Otherwise, don’t be afraid of outside collaborations. If you don’t have a developer or designer on board, look outside your organization or the newsroom. Reach out to your local chapter of Hacks/Hackers or the NICAR mailing list. 2) Consider: do you need a separate team? This really depends on how far your management is willing to go. I’ve worked with and visited newsrooms that have teams exclusively focused on producing innovative content. 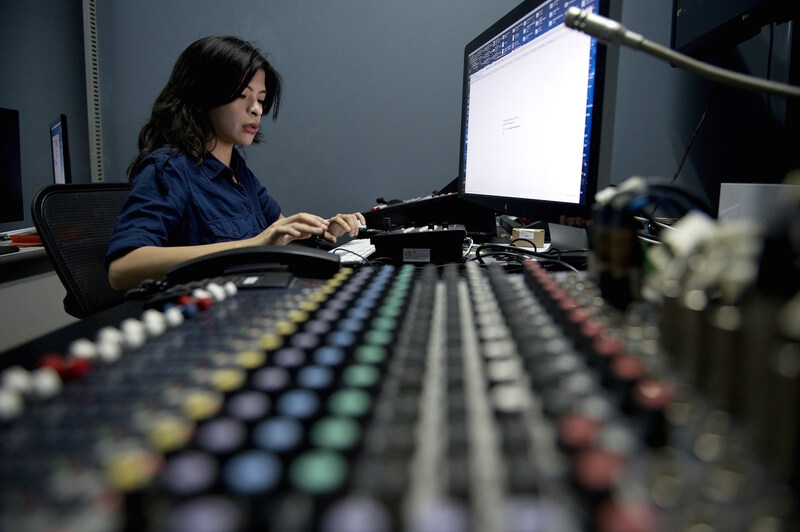 Other newsrooms don’t have a team working on this full-time, but instead will rely on a single person — the project manager — who coordinates the work, brings together the right people, and who ensures completion. The latter approach works well if you’re a small newsroom with a limited budget. Try to produce daily or weekly projects, rather than monthly. This will help convince your upper management that these stories aren’t resource-intensive. One easy hack is to start with stories that reporters are already working on — is there a way to add a 360 video, an interactive data visualization, or some other innovative component to the story? I tried this approach at one media outlet in Pakistan and it definitely paid off. One way to speed up your production of projects is to build your own publication templates if your newsroom’s CMS isn’t up to the task (however, you would probably need a developer and a designer to do this). You could also look to other solutions like Atavist, Story Maps, Timeline JS, or Adobe softwares — these can all be leveraged as powerful storytelling tools. This will help you work with developers and designers — don’t feel pressured to become an expert, but try to learn enough so that you can “speak” their language. Taking a course could also help — IJNet keeps track of free or low-cost options. You should also try to keep up with technologies and ideas that originate outside the news industry. 360 video, virtual reality and artificial intelligence are all innovative technologies that emerged outside the news industry and were later incorporated into journalism. Always be seeking out new ways to tell stories. You might fail at some things along the way, but that is okay. Own your mistakes! Shaheryar Popalzai, a digital journalist and strategist, has pioneered affordable, easy-to-produce 360° video projects with Pakistani newsrooms. Popalzai also has experience launching data journalism teams and using sensors as a way to generate new data for stories. Learn more about his work as an ICFJ Knight Fellow here.